ATLANTA (Jan. 5, 2016) – In an industry dominated by french fries as side items, Chick-fil-A® will soon be one of the first fast food restaurants in the industry to add “superfoods” like kale and Broccolini®, to its menu. Just in time to keep New Year’s resolutions, customers nationwide can order the low-calorie Superfood Side starting on January 18. The gourmet side was developed in collaboration with James Beard Award Nominee and Atlanta-based chef, Ford Fry of Ford Fry Restaurants. 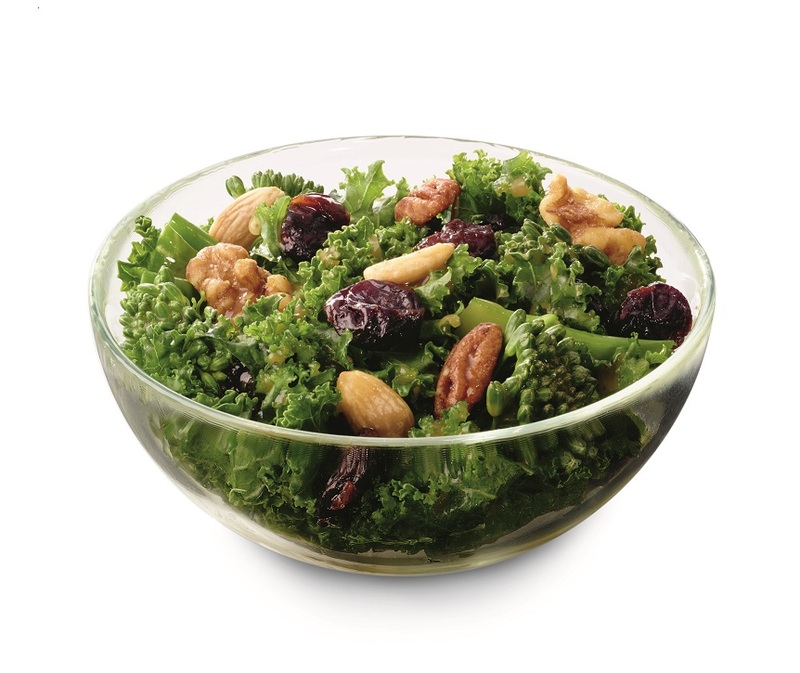 The Superfood Side is made with a blend of hand-chopped kale and Broccolini®, tossed in a sweet and tangy maple vinaigrette dressing and topped with flavorful dried sour cherries. It is served with a blend of roasted nuts (walnuts, almonds and pecans) that enhances the flavor and provides added crunch. The side is available in 5 or 8-ounce servings, and priced starting at $2.59 for the 5 oz. and $3.79 for the 8 oz. portion. The Superfood Side will also be offered as a substitution in any combo meal for an upcharge of 94 cents. When paired with the company’s 100 percent breast meat Grilled Nuggets (eight-count) and a zero-calorie beverage, the Superfood Side allows customers to enjoy a full meal for only 280 calories. On its own, the Superfood Side has 140 calories and 7 grams of fat in the 5 oz. portion and 170 calories and 8 grams of fat in the 8 oz. portion. According to Technomic, “Forty-seven percent of consumers with children aged 17 and under say they are more likely to visit restaurants with healthier options.” In 2014, Chick-fil-A introduced a new Grilled Chicken Sandwich and Grilled Nuggets to help meet the desires of its customers to eat more healthfully. These menu introductions continued the company’s trend of being first to market with nutritious menu options. Chick-fil-A was the first quick-service restaurant to offer a fruit cup as a side in 2004 and was the first in the industry to add a grilled entrée to the Kids Meal in 2012. Chick-fil-A system exceeded $6 billion in sales 2015, which marks 47 consecutive years of sales growth. Chick-fil-A ranked first for customer satisfaction in the Limited Service Restaurants industry according to the 2015 American Customer Satisfaction Index and received the highest ACSI score ever in the industry. The company was also recognized in 2015 as America’s “Top Chicken Restaurant Brand” by The Harris Poll and the only restaurant brand named to the Top 10 “Best Companies to Work For” by 24/7 Wall Street. More information on Chick-fil-A is available on the chain’s website located at www.chick-fil-a.com.